Welcome to my blog! It’s been a while since I posted. Gosh, it’s been a crazy few months. Anyhow, I’m back and I’m here with a new year of Chaser Chats! 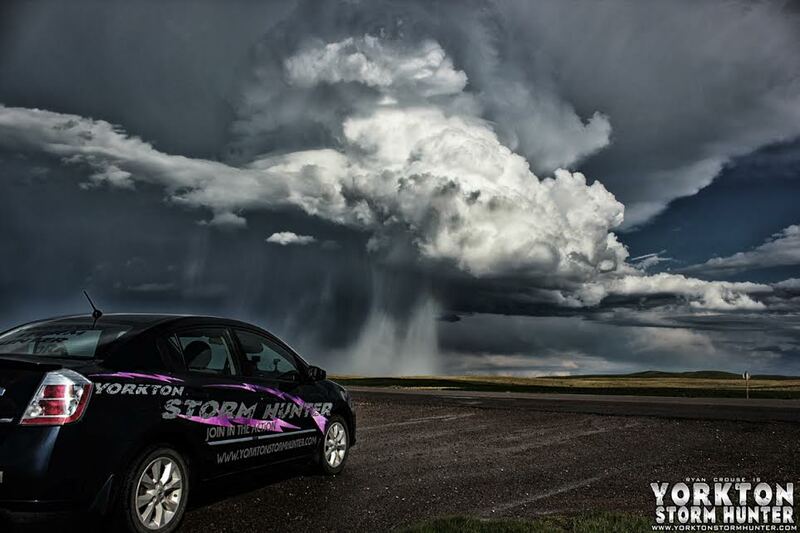 I got to chat with Ryan Crouse the Yorkton Storm Hunter about his chasing experiences. You can watch Ryan chase on TVNWeather! If you’ve never watched a storm chase on a live stream (something I affectionately refer to as ‘Arm-Chair Chasing’, you’re missing out! It’s a blast!) I love doing these Chaser Chats and especially enjoy the local chasers I get to chat with. Hey Ryan, thanks for being willing to answer a few questions for me! I’m excited to learn more about how and why you chase! First of all, what drew you to storms? Well for me, it started as a little kid. Kids would be outside playing sports and what not and I would be in the house taking notes while listening to the weather report on the local radio station. Ever since I could remember, whenever there was a thunderstorm I would rush to the window and watch in awe. I remember even if it was late after being tucked in to bed, I would creep out and sneak over to the window and just watch the storm in all its glory. Tell me about your very first tornado! This is a cruel question to ask a chaser but I ask everyone so… what’s your best chase ever? Well ok, let’s see … I have a “top 5,” but if I had to choose just one I would have to pick the one that “put me on the map” so to speak. July 6, 2013. What an awesome Storm Spotting day!! It began with being in the Yorkton Parade as the Severe Thunderstorm warning was issued. Within seconds of finishing, Chris Flasko (who is one of my 2 drivers), and I bolted out of the parade and headed out towards the Melville area where Owen Parker sent me in a tip of a wild Shelf Cloud that he spotted. We caught up the shelf and got some great shots. From there headed towards Churchbridge and picked up my other crew member Katie Vickers (2nd set of eyes & 2nd photographer). At that point our target was Wroxton bound and then off to the Kamsack direction where we then met up with Owen Parker and decided to work as a unit for the rest of the day. Kamsack bound was pretty wild! About 15 kms North of Wroxton, we ended up being in a fairly intense placement. We were pretty much in the center of a Rain Wrap and there were 3 other funnels going up and down all at the same time! The wind strength and rain was just insane!! When I called into EC, it was funny as I said we have 2 funnels and I am currently watching a Tornado in front of me, the lady was like what do you see now? As I was getting off the phone Katie began yelling at me to turn around. As I did (now facing the west), not a hundred yards away was another tornado on the ground, coming in our direction! I have to say, one of the coolest moments from that day was when all this was going on, I remember feeling absolutely calm (it might be an ADHD thing, as times like Christmas when everyone is rushing, people finally seem to be moving at my speed hahaha). I remember taking a brief moment to just watch. it was really cool, we were in the center and amongst the intense winds, tornados and rain, you could actually see the rain circle, curtain whatever you want to call it. You could see it moving and follow along with it when you moved your head along with the rain. We seen 4 funnels at the same time and place. We seen 3 touch down and possibly a 4rd, but trees were in the way. I know 2 were confirmed, not 100% sure on the 3rd. What’s the most intense chase you’ve ever been on? Well, the #1 would be from the answer to the 3rd question, but my 2nd would be May 28, 2014 – Miles City Montana. Notanee Bourassa and myself had quite the adventure on that day! While in the heart of the action in Northern Montana. This beast fought with us for more than 4 hours! It possible dropped 1 Tornado (which we caught) also dropped up to 2 inch hail! I remember on Mobile Treat Net that at one point, the system which we were on was moving over 100 mph, and when I say beast – that is what it was. 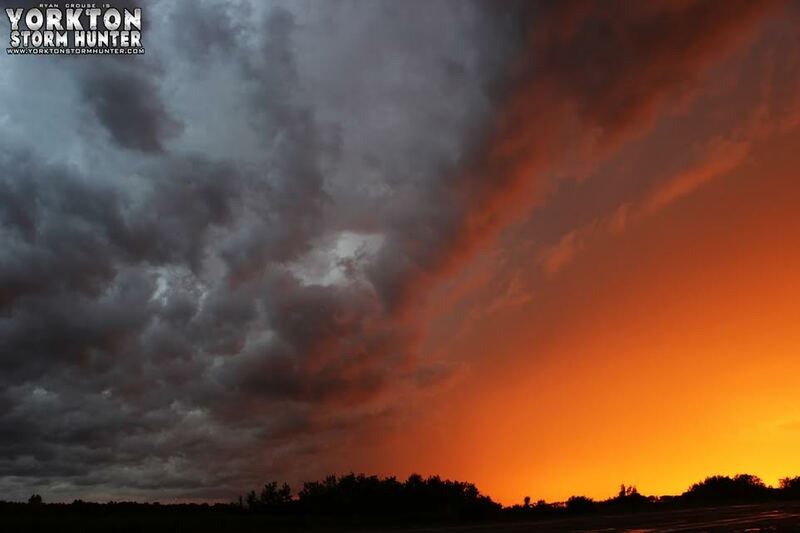 I remember looking south and seeing the sunset merging with the side of the storm. 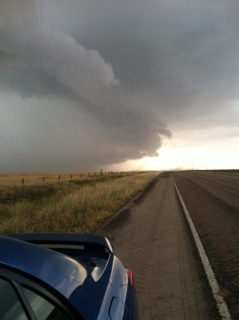 When looking North, a monster of a Shelf Cloud, which was gaining speed on us. The intensity came from the powerful winds of this storm. There was one moment when we were driving, and if you watch the video back it sounds like rain hitting the vehicle. It wasn’t rain but scattered fragments of dirt, sticks and who knows what else! There was even a moment I had to swerve the vehicle as a billboard sign was sliding across the road and I could see a bigger stick, log or something moving across the road with it and was worried about blowing out the tire! Some short time later, we pulled over to get a few structure shots when all of a sudden there was a loud BOOM behind us, scaring the crap out of the both of us! it was the power lines giving away. Sounds like it was pretty crazy! What an experience! What is your favorite and least favorite things about chasing? I can’t wait to get out there! What are your goals when you go storm chasing? What, if anything, do you hope to see change in your storm chasing years? Well, first and foremost is to stay safe. Next to that, capture some great photographs and video of nature’s fury. Another important thing for me it to make sure Environment Canada knows what is going on during severe weather events. They tell me they watch my Live Stream, I think that’s great as they then have a ground level view of what “they” are seeing on radar. The changes I hope for are actually in progress right now. Brandon Crane, my mechanic and driver is working on adding some hail protection, armor if you will, to the Storm-Finder (Nissan Pathfinder). Looking forward to seeing you guys out there! Does one year stand out to you as the best season yet? 2013 was an absolute blast for me. There were some powerful and fun storms as well as I met a lot of great Chasers and Spotters whom have helped me on my way. 2014 was also on the top, mostly from my Texas and Montana adventure. 2014 was so boring here! Glad someone loved it! Ryan, what advice would you give aspiring storm chasers? The first thing I would say is even though Storm Chasing/Spotting is a hobby (and an expensive one at that), for some like myself, it’s a way of life. From May – August, I eat and breathe storms. I would also say sleep, but that doesn’t really happen much during Storm Season for me. hahaha! Learn from your mistakes, you ARE going to make them! Learn from the pros and the chasers whom have been doing it for years. I have been fortunate enough to have people like Notanee Bourassa, Braydon Morisseau, Sean Schoffer, Reed Timmer along with others aid and guide me when needed. Listen to what they have to say and respect it. Another thing would be to do your homework. Study weather. I’m not saying that you have to be a meteorologist, but knowledge can get you out and keep you out of a possible bad situation. 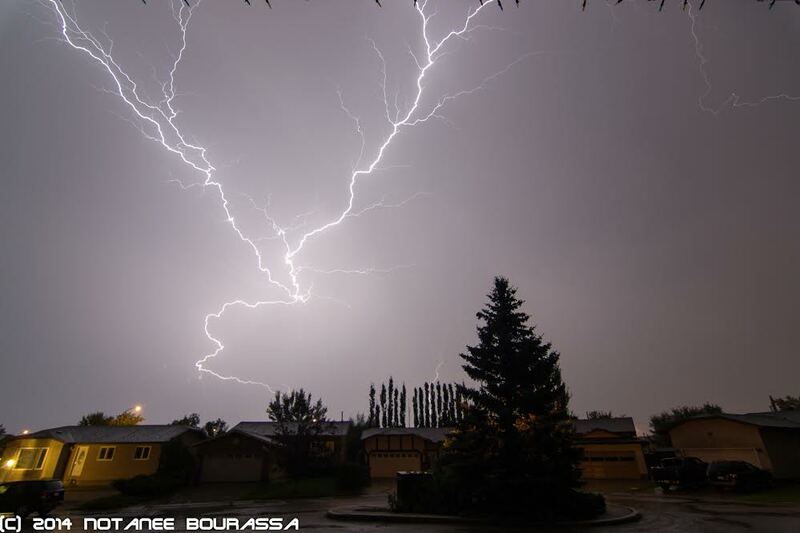 Environment Canada does, at times offer CANWARN weather courses – take them. If you go on Google, search SKYWARN training and you will get dozens of free .pdf booklets made from NWS & NOAA. A book that I learned a great deal from was the “Storm Chasing Handbook” written by Tim Vasquez. Those are great tips! 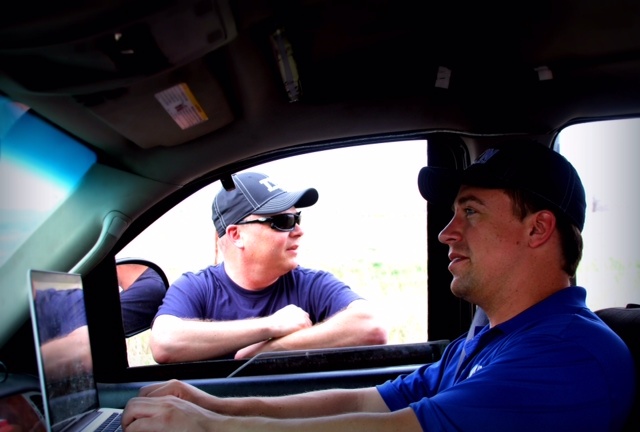 What do you wish would change in the way people think of storm chasers? That what happens in the movies are real. Storm chasing movies are very far from reality. Another would be that just because one chaser does something questionable doesn’t mean we are all bad. There’s been a lot of bad publicity but I’ve met a lot of amazing chasers! It’s sad how one bad chaser can destroy so many opinions. Tell me about your chase team! I have gone out alone, but for the most part I have a team. 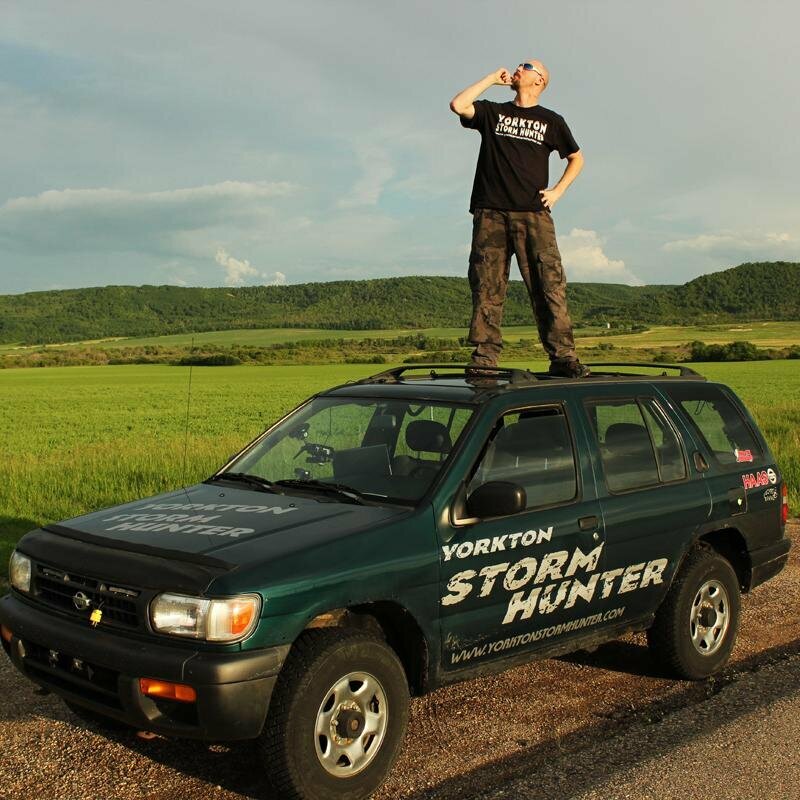 I am the “Yorkton Storm Hunter” I am in charge of photography, video, the live stream, navigation and watching the weather radar. Brandon Crane is my mechanic and driver. Katie Vickers is the 2nd photographer and another set of eyes. She also is good at telling Brandon and I when we missed our turn lol. Chris Flasko is another driver that helps out when Brandon isn’t available. Do you have a favorite storm memory? 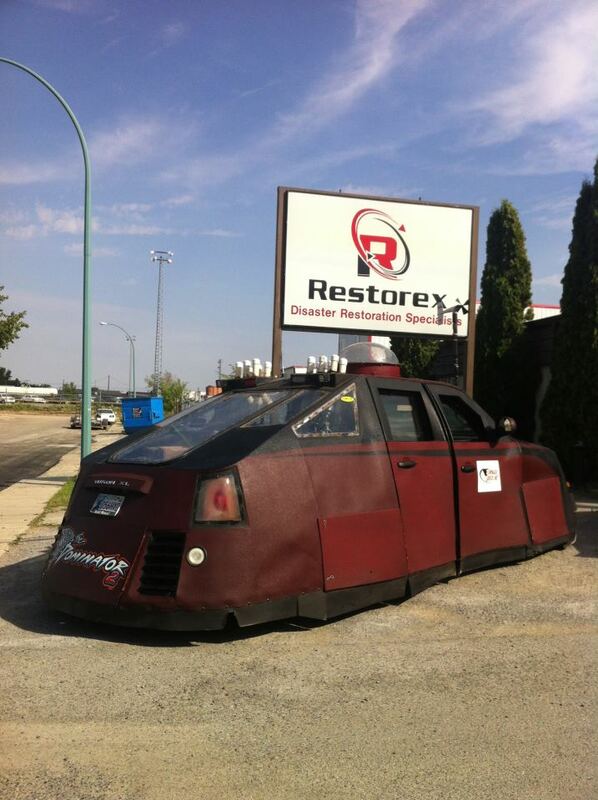 Being asked to live stream as “Yorkton Storm Hunter” on July 23-24, 2014 from within the Dominator 3. The experience was just incredible! That is totally awesome! I’d love to chase in the Dom 3! 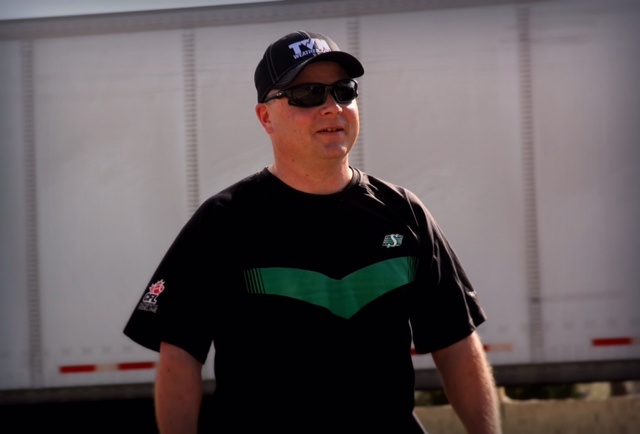 What can we expect from the Yorkton Storm Hunter team in 2015? Any exciting changes? More of the fun stuff! I hope to improve the quality of the stream a little. We touched on it earlier, Brandon Crane is also working on adding hail protection to the Storm-Finder. We are also working on adding a couple more video cameras into the vehicle to have different angles of footage for my highlight videos. That sounds awesome! 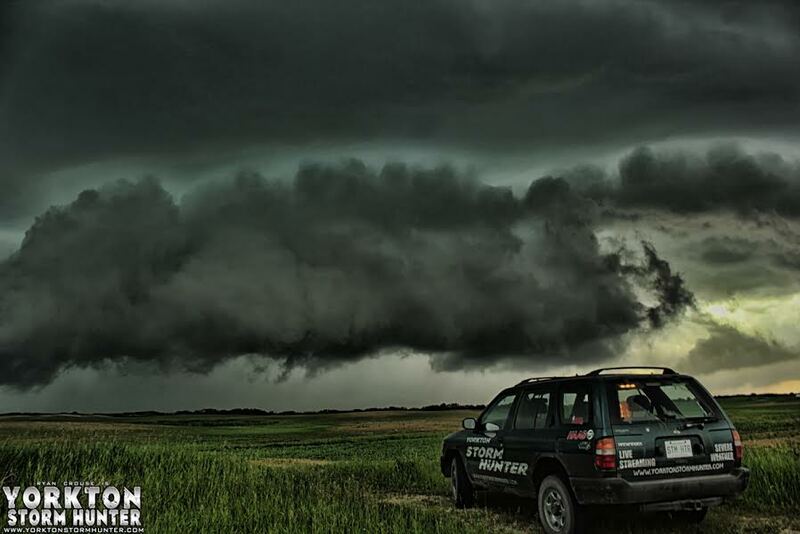 If you couldn’t do storm chasing, what would be next on the list of jobs you would love? Well, I am actually doing them. I love straight out being a photographer but, my other passion is my Paranormal Investigation TV Show, “Knights Of The Dark.” We are currently finished filming season 2 and are working on going through the data, editing and making the episodes. Cheap plug, but the show airs on ACCESS7 TV at 11:30 pm on Friday’s. The website is http://www.knightsofthedark.com. If anyone in Saskatchewan whom reads this, has a story or event that happened to them and wants us to investigate, the email is on the website. Okay, Ryan, send a shout out to those businesses that support your storm chasing career! My main Sponsor is HAAS NISSAN from Yorkton Sk. RhynoPack: Nobody likes a dead smart phone, #StayCharged with Rhynopack! Last one, Ryan, when you aren’t out chasing (the long cold of winter), what do you like to do? Well, I stay pretty busy as to when I’m not chasing, I am working on the Ghost Show. When I “DO” find some free time, I do enjoy playing PC games like Diablo III and Half-Life and catching up on my WWE Wrestling. I also help High Impact Wrestling promote their shows when they come to Yorkton. Next to all of that – I like to sit down with my electric guitar and jam to some good heavy metal! You can find Ryan on his Yorkton Storm Hunter website on Twitter and on Facebook! Thanks for reading this Chaser Chat! Check out the others here! Welcome everyone! I’m grateful today to be chatting the Nick Schenher (aka Nick the Body). Nick was one of the first chasers I ever started to watch. There was a day back in 2012, an incredible season and my first as a storm enthusiast, when Nick was out chasing a nice tornado near Wadena, SK. Nick makes mention of this day too. Nick was near another team that was right in there, but he was hanging back. It was amazing to watch the tornado on Nick’s live stream. The other team was too close for us to see the tornado well but Nick kept an awesome view for those of us watching. It was so cool. Thanks, Nick, for chatting with me. I appreciate it! Tell me, what drew you to storm chasing? I was always interested in storms from a young age. Not sure what the draw was, but I always knew I wanted do pursue some kind of career/hobby in weather. How old were you when you first realized that you wanted to chase storms? The first time I found out what a storm chaser was I was about 10 years old, watching a National Geographic documentary. It was about that time. Tell me about the first tornado you ever saw. The first tornado I saw was extremely brief, and occurred in southwestern Saskatchewan. The only thing I remember was that by the time I got my old film camera out and fired up, the tornado was over. It kicked up a lot of dust, and I was immediately into heavy rain and hail right after. I bet that was so cool to see! Nick, what is your goal when you go out storm chasing? 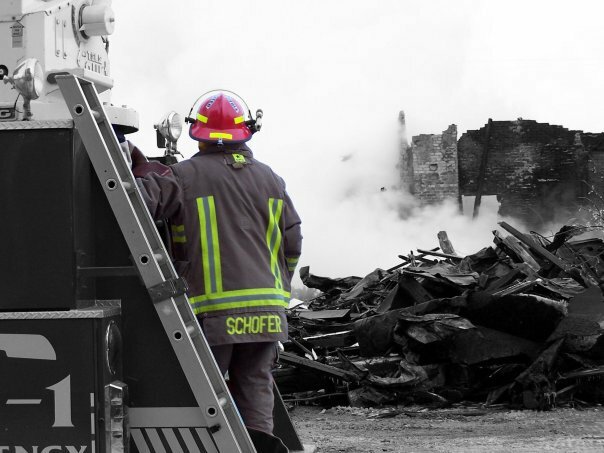 My goal is safety – being able to provide whatever entity – whether Environment Canada, the National Weather Service, or the general public information about severe weather so loss of property or life is minimal. That’s a great goal! What vehicle are you chasing in this year? I have chased almost exclusively in my 2006 Toyota Yaris. It is a subcompact car that I trust. My goal is not to get into the middle of severe storms like other chasers, but to be able to stay dry, and keep a visual on rotation. With this in mind, there are times when I choose to stay a greater distance away from severe weather. I always want to give myself as much time and as many directional options as well in order to report and escape, if necessary. The Yaris relieves me of my temptation to go off-road or get into more precarious situations, as it does not handle well on anything but pavement. I also have a 2007 Jeep Compass which I utilize if storms are going to be a little more unpredictable, or if the road system in the area is less favourable than around the City of Regina. I like that you deliberately drive a vehicle that will keep you, hopefully, out of danger. When you are out chasing, do you chase alone or do you have a team you usually go with? I typically chase with a local photographer named Chris Graham (@cgphotography). I am not a photographer, and hate taking pictures of storms. The set up in the car allows me to live stream HD video in real time, but that I can set and then forget about. My dashboard camera captures any images I wish to reproduce, but Chris captures incredible images which are nice to look back on. I usually attempt to take another person for a ride-along when possible. Now I have to ask how I get on that list for a ride-along! 😉 What do you find most amazing about chasing storms? What was the most memorable chase you’ve ever been on? Probably the Wadena tornado in 2012. I had two persons with me who had never seen a tornado before, and the progression of the day was excellent. We were correctly positioned all day, never got touched with a drop of rain, and had a clear and safe road with which to run parallel to the storm until it fizzled out. That was an amazing day even to watch on the live-stream! What was the scariest moment you’ve ever had chasing? Was it when your car caught on fire? My car catching on fire was more frustrating than it was scary. Even though we were under a tornado warned storm, with a wall cloud rotating a short distance away from us, it would have passed a few 100 metres to our north, so we would have been fine. Scariest for me is always chasing at night with little visual. I have had a couple of tornadoes pass not far in front of me, one of which was not noticed until a lightning flash while we were parked on a highway. Yikes! That would be scary for sure! If you could go back and experience one tornado again, which one would it be? I probably wouldn’t go back. Each experience is different, and with the chaser community being so large now, tornadoes are rarely missed. I am passionate about the weather, but the reason I chase is to keep people safe and educate others about storms, their risks, and why people do not need to fear the weather. That’s one of the most unexpected storm-chaser answers I’ve ever had, but I like it. What advice would you give to aspiring storm chasers? Do as much reading as possible, get comfortable understanding severe weather, watch as many videos observing movement and structure of tornadoes and storms, understand the risks, and then just go and do it. 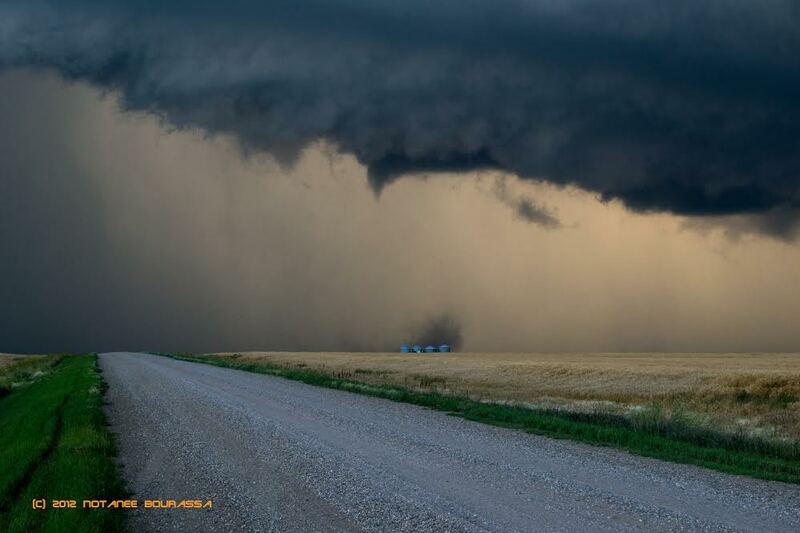 It astounds me that many chasers have a problem with so-called “members of the public” chasing or taking pictures of severe weather rather than huddling in a basement somewhere. I firmly believe people have the right to do whatever they want as long as they are not harming anyone else. There are certainly risks involved, but to say, “leave it to the professionals” when the whole system is reliant on the public is crazy to me. Many chasers will be happy to take anyone out with them for a share in gas, and if it’s about fulfilling a thrill or desire for excitement, then that is the way to go. If you are interested in weather or photography or contributing to the chaser community, then get educated and do it. As someone who is trying to get educated, I can say there is a LOT to know. Nick, what is one thing that you wish the public understood better about storm chasers? Nothing here. 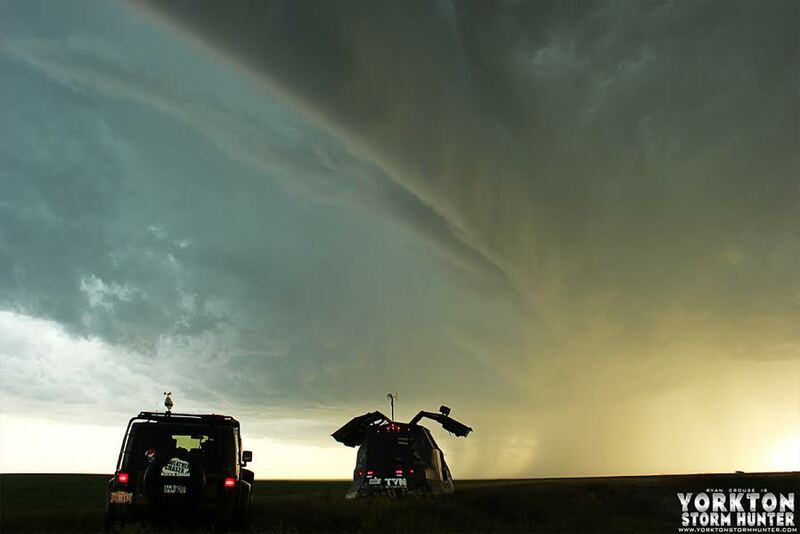 I think the public knows exactly what they need to about chasers – some do it for photography, some for the adrenaline rush, some for education, some for science, many for a combination. Some take a lot of risks, others not as much. The chaser community, like any other community is filled with an eclectic bunch of people who all have their own reasons for doing it, and any of those reasons are acceptable. To try and box everyone in and say that the chaser community is filled with a bunch of safe, responsible role models would be incorrect, though there are many out there who do fit that role. They all serve a purpose, and that is that. Let everyone do their thing. What do you like to do in the winter? Do you chase blizzards? In the winter I curl a few nights per week, and watch a lot of hockey. I enjoy getting out a couple of times to show everyone what a good Saskatchewan blizzard looks like, and why people should be much more afraid of cold weather over and severe summer storm. When you’re not out chasing in the summer, what do you do? Professionally, and for fun! I have a job where I get to help people 365 days per year, which I love. I am currently finishing a graduate degree in science (psychology). I love playing tennis in the summer, spending time with my wife and daughter, and reading as much as possible. Anyone that you’d like to give a shout out to that supports you in your chasing? Just thanks to everyone who enjoys watching the live stream and conversing on twitter. I appreciate the conversations we have had. You can find Nick on http://www.stormwatcher.ca, Stormwatcher on Facebook, stormwatcherca on Instagram, and @NickTheBody on Twitter. 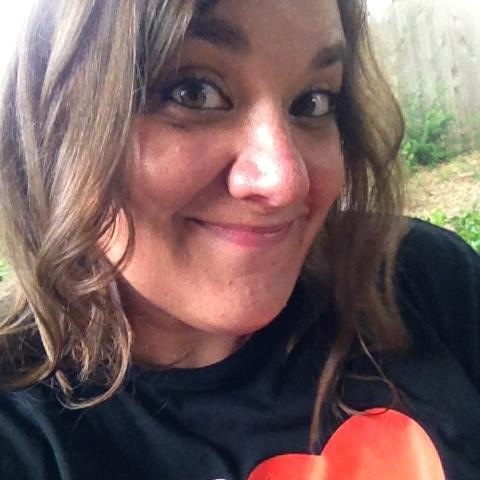 Welcome back to my Chaser Chat with Notanee Bourassa! If you missed part one, you can find it HERE! If you already checked that out, let’s dig into part two! Notanee, if you could go back and experience one tornado again (or see one you missed), which one would it be? If I could turn back time. I would experience the EF-5 Moore Oklahoma Tornado of 2013. It would be in my fantasy, to go west instead of east, making the intercept well outside of Moore, getting the truth into the National Weather Service and contibuting to saving lives if possible. That very afternoon, I felt it in my guts, I saw the sky before I left Norman heading south. Greg J and myself happened to meet on the highway prior to going through Oklahoma City towards our separate targets. After only just leaving the Norman area, I stopped for gas at a Shell on the main highway and saw the stormcells forming. I decided to go east towards Norman instead of west towards the cell heading to Moore. I am slightly grateful I didn’t intercept that EF-5 as I would have personally seen it unleash unimaginable damage on Moore. After several days I went to Moore and documented the damage discretely on foot, as I needed to have that to show my family and children. As part of the respect nature value I want to program in them. That tornado would have been incredible to see. We’ve talked a lot about storms and the fascination of chasing. I ask all chasers this, what advice would you give to aspiring storm chasers? People who would love to get out and do what you do? My advice for aspiring storm chasers is to make safety the number one priority. Perform your chase safely. Don’t endanger others by anything you do. Report the weather immediately for the safety of others and THEN take your photos and videos. Also keep YOURSELVES safe. You and the occupants of your vehicle rely on the ability to move out of danger. Don’t risk getting stuck while in front of the storm. Don’t chase a storm without an escape plan. Have a plan B. Have a place to drive to get you out of danger. Personally, I think aspiring chasers should start out as “spotters” until groomed by experienced chasers by accompanying them on many chases. As far as CANWARN is concerned. CANWARN wants spotters not chasers. No one is encouraged to endanger themselves or others to report ground truth. There is absolutely nothing wrong with being a spotter. But I do come to realize Environment Canada and the media will take whatever they can get. Particularly if it can buy time to warn others of impending danger heading their way. You don’t only love storms, you also have another favourite thing to chase. Tell us about your passion for the Northern Lights! My favorite thing to chase is supercell thunderstorms. I particularly love their formation, shape and tilt. The amazing power. The unimaginable amount of physical weight in that storm. How you can see the ingredients coming together, wind shear, moisture, low level jet. Textbook stuff. You can read so much but when you see it, you are much more confident and a believe of the science you’ve studied. Speaking of science, my grandfather taught Physics and Astronomy at the Univeristy of Regina and taught me to appeciate the night skies as well. I learned of constellations, meteors and the aurora borealis on my sleep overs at his place in Silton when I was a kid. Throughout my childhood in Moccasin Flats in Regina, I was always looking to the nightsky in hopes of a glimpse of heaven to take me away from the reality of living there. I remember one particular day in the eighties when an awesome geomagnetic storm had joined the north and southern bands of aurora together! I stayed up late watching it dance overhead while I stood in the back alley in the cold for hours. Since then I watched it whenever possible. After my tornadic intercept of April 12th, 2012, my mother bought be a DSLR camera in May 2012. This allowed me for the first time to potentially capture the magical lights (aurora) in the sky. A dream come true. Since then I have taken every opportunity within my price range to learn about how to use my camera and be better at shooting severe weather and the northern lights. To this end I have grown successful. 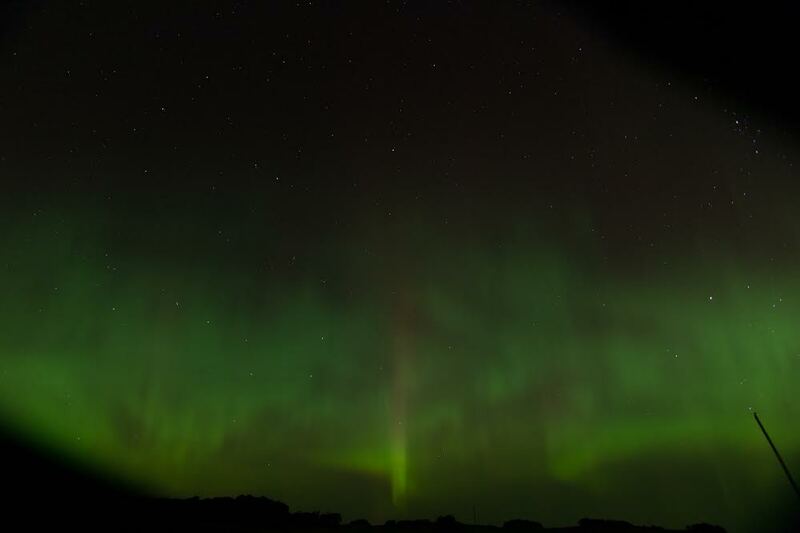 I have learned to timelapse these events and CTV has invited me to share with them my knowledge and experiences with the northern lights after I released a YouTube video timelapse aurora compilation of the year 2013. I had an interview on the weekend at my house and then later in the week, their producer invited me on their morning show for 10 minutes or so. The aurora is a reflection of the awesome power of our closest star and is unpredictably beautiful and humbling. It is yet another reminder of how humble the human race should be in the face of natural power. Be it tornadoes or the northern lights, as both have the power to send us back to the Stone Ages. They sure are amazing to see! What do you do when you’re not out chasing in the summer? When summer is over and chase season is done, I shift my focus to capturing the colorful turn of nature when fall heralds the end of life (winter). I continue my obession with the northern lights and capture foggy mornings in the valley. In September, on the 19th, I fully participate in International Talk Like a Pirate Day! I dress completely as a pirate and bring a prop replica of “Dead Man’s Chest” from Pirates of the Carribean to work full of gold coin. 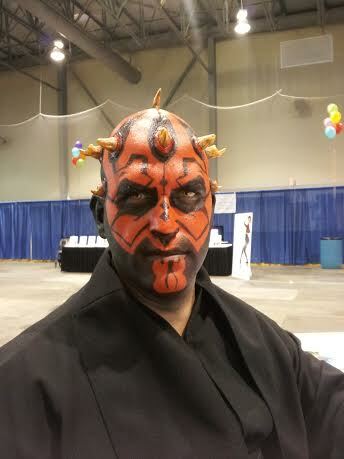 I participate also in Regina Costume League, as the character Darth Maul from Star Wars: The Phantom Menace. This allowed me to be a part of the Regina ExPo parade for the past few years and help fundraisers for various charities. I DJ for 91.3fm CJTR – Regina’s Community Radio since January 2002. I host a radio show named Hardwired featuring a futuristic industrial atmopshere for my listeners from 10-12pm on Friday nights. I also DJ at clubs in Saskatoon when opportunities arrive. One such opportunity lead to me making a tornado intercept near Craik in 2008. I have volunteers as a member of the Board of Directors for Radius Communications, the membership commmittee, fundraising committee and also volunteers countless hours to help 91.3fm keep the computer systems running and sometimes completely rebuilding after catostrophic hardware failures. I professionally work as a Trunking and Switching Techician for SaskTel. I sheppard IP traffic from cellular towers, optical cabinets and analogue cabinets throughout the province which supply internet and IPTV. All the way from the user end points to the IPcore to the IP transcanada backbone. Chasing takes a fair bit of time and money, anyone that you’d like to give a shout out to that supports you in your chasing? My family unit, the most important shout out has to be to my family. My wife is an incredibly understanding woman. Over time, we have witnessed the disintegration of other family units engaged in similar activities. It can put an unfair workload on your partner at little notice. I must give respect to every social networking contact who has come to trust my words. I try tremendously to give brief accurate information and secure trust in others. I have reached out to contacts in the Environment Canada, The Weather Network and local media to establish trust. I shout my thanks to them. I also thank everyone who has placed their faith in me and perhaps grown to like me over the years. I try to be a good person. Finally I shout out to the TVNweather.com family whose patience and generousity makes the live video streaming coupled with live positioning and reporting possible in the internet world. I thank Severe Studios (Kory Hartman) for allowing the public to follow Andy Gabrielson. I’d like to thank Sean Schoffer for allowing me to setup Dominator 3 video streaming. Thanks again, Notanee for chatting with me! Where can people find you online and follow your chasing? I can be followed at www.tvnweather.com as RAIDEN, SpotterNetwork.org and also http://www.hardwiredradio.ca/raiden/ I have two sites under development. www.skstorm.ca and www.theflyingcow.ca. You can also find Notanee on Twitter! Thanks for checking out this Chaser Chat, you can see the rest of them HERE! Also, check back regularly as I have some more very exciting Chaser Chats coming up! I ‘met’ Notanee first on Twitter. Then at a few of events locally I was able to chat with him more. Notanee has a definite passion for weather and it’s contagious when you talk to him. You’ll see that in his interview below! Hey Notanee, thanks so much for being willing to chat with me about your chasing! It’s awesome to be able to chat with Canadian chasers! So, tell me what drew you to storm chasing? Since my enchantment with the sky since the tornado of 1979 I was drawn to chase the storms because they frequently would miss Regina or a part of it that was extremely interesting would pass through and I would want to pursue it to see what happens. I grew up in Mocassin Flats of Regina and didn’t have a vehicle while growing up. So I biked to the nearest field to get an open view of the storm front. Then I joined the Navy and terribly missed the raging violence of a good prairie storm for a good decade. My only reprieve was to watch Twister in the theatre on the west coast at least thirteen times. Love that you’ve seen Twister so many times! Do you remember your first tornado? The first tornado I witnessed was when I was 7 years old living on 12 block McTavish Street in Regina and remembered that I was playing in the front yard in a very warm clear afternoon. When the storm hit in later afternoon, I remember the incredible horizontal rain. Trees bending to unnatural angles, branches ripping, VHF/UHF TV antenneas torn from roof tops, debris flying. We had a windowed front porch and watched the show from it but retreated into the bedrooms after a while, especially when the windows were bowing inwards. Wow! That would be one heck of an experience! 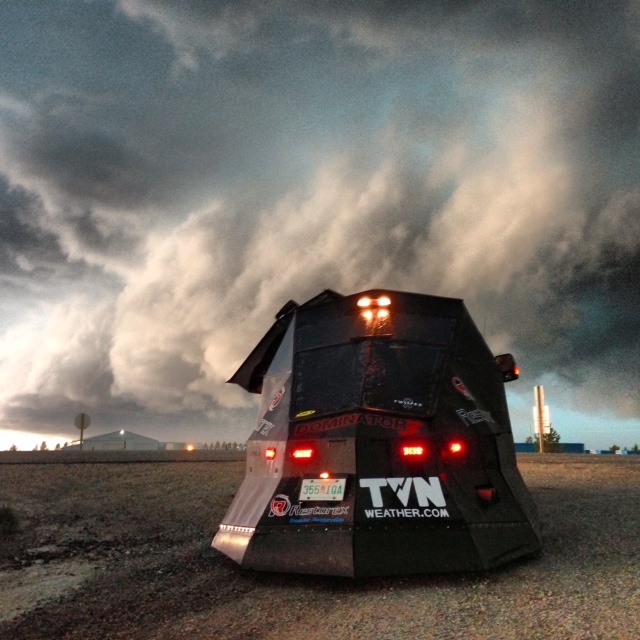 What is your goal when you go out storm chasing? While chasing in the United States, my goal is to gain experience to be better at spotting, recognizing and learning from models, my forecasts vs others vs NOAA. I also participate in forwarding ground truth through SpotterNetwork and also transmitting video through TVNWeather.com. Photos I take are for my personal reference and also to teach my family and children the respect nature deserves. The United States provides a longer season in which to chase. So It’s a great warm up to chasing here in the Canadian prairies. While chasing in the Canadian Prairies, my goals are more focused as I have personal attachment to my country and province. I push myself alot harder and am challenged and frustrated by the lack of information from Environment Canada. I truly desire to get that ground truth in as expeditiously as possible. Brief, clear and accurate. Leaving out speculation. What do you feel is the best thing about chasing storms? 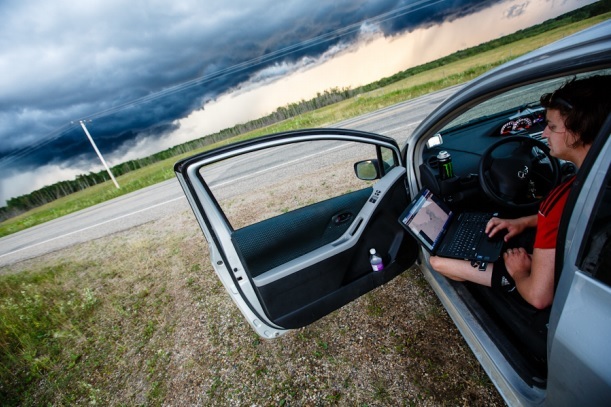 There are many things that are close to “the best thing” about chasing storms, but from a personal view, it is scoring a tornado and calling it in successfully to Environment Canada. There are other romantic things about chasing storms, such as the personal escape from the city life so many of us are familiar with. The open road. The open skies. The landscapes. Mood appropriate music (which is a big deal for me as music is close to my heart). Time to think. Then as you approach your target area, you awaken. Data and radar can only get you so far. Then the eyes have to do the rest. Especially when chasing alone. Heavy rain, insane howling winds, escaping hail, dodging congestive traffic and finally getting to the mesocyclone. A particularly satisfying feeling having travelled hundreds of miles to be in the right place at the right time. A winning feeling. After that it’s gravy, the photos, the videos, the memories of soaking in the moments of what mother nature shows you from that point onwards is up to yourself to absorb and learn from. Where do you like to chase? How far into the US have you chased storms? I primarily prefer to chase in the open plains if possible. For example, treed and large hills as seen in Missouri can be very difficult to perform proper any spotting. The terrain itself dictates where the roads are and therefore dictates where traffic is funneled. Very difficult to scan the horizon from such a vantage point. The furthest south I believe I’ve travelled for storm chasing was Marshall, Texas. The furthest west I’ve gone is Artesia, New Mexico. The furthest east I’ve gone is Texarkana and ALL points north to the Canadian border. States experienced chases in: ND, SD, MT, MN, NE, IO, KS, MS, NM, AK, OK, TX. What was the best storm chase you’ve ever been on and what made it so special? For the moment the best storm chase was the experienc of April 14th, 2012. Greg Johnson and myself had chased on several occasions since May of 2011 and we had been looking forward to 2012. Greg just picked up “Flash” before the orange makeover and we met at his house where Ricky Forbes met us. Both Flash and Ricky were chase virgins, which Greg and I took pleasure in introducing them to the experiences we both knew were forthcoming in the south. We departed and met with Chris Streaks who is from Great Falls, MT in a hotel in North Dakota. What made the April 14th, 2012 chase so special was the fact that the team was on fire. Clear, concise communications between all of us. ESPECIALLY on our first visual contact. Both Greg and I spoke aloud, “WEDGE on the ground” as it was on our right about 6-7 miles distant. For me since I was doing navigation, radar and giving driving recommendations it felt good to keep the team on the EF4 tornado for the next 2 hours. The storm occluded this tornado multiple times. Our team work kept us nipping on the heels of this tornado. Tim Samaras was there, it looked like Vortex was there too, many chasers were onsite, but we dared a few road options which allowed us best access to the twister where there was NO ONE. It felt so good to have such an exclusive experience of that tornado that no one else had. In fact we had beat the traffic because of the road options we took, otherwise we were going to be stuck behind twenty chasers. All of us did the best we could. I even tried to stabilize Chris Streaks DSLR camera on multiple occasions while still focusing on radar and roads. There were only few occasions where I could take my point and shoot camera (which I borrowed from my wife) to take a few shots and a FlipVideo UltraHD camera (which I borrowed from my co-worker Lori-Jo ) to take video. I felt this was the best chase as we all contributed to a very successful tornado interceptive chase and worked as a team. Words really don’t describe it with justice. It is experienced. Thanks to Notanee for chatting with me! Part Two of this chat will come out on Friday and I hope you’ll come back for it! Meanwhile, check out my other CHASER CHATS with other storm chasers like Ricky Forbes, Chris Chittick, Craig Hilts and Sean Schofer! I’m excited today to be able to feature some of the female chasers that I’ve gotten to know in the past year or so. Today I’m chatting with the ‘Diva Chasers’. I haven’t had a ton of conversation with them before now, but I’m excited to ask some questions and get to better know a few women who chase storms! Since it’s something that I’d like to do as well. It feels like the storm-chase community is pretty male-dominated, but perhaps that’s just perception instead of reality. Perhaps I just know many more men who chase than I do women. Anyhow, let’s get to those questions. The Diva’s consist of Chandler Sullivan, Jennifer Stark and Stephanie Michelle. Thanks ladies, for being willing to chat with me about this awesome hobby of yours! First of all, tell me how you got together! Chandler: Me and Jennifer Stark started talking on twitter about storms and storm chasing. Then one day I texted her and told her we should have just a female chase team. You know how cool that would be?? Then next thing you know we put our dreams to work. Then later on down the road we saw the passion Stephanie had for the Divas so we invited her to join us. Chandler: One day we were thinking of a names that we could call our selves and the next thing you know I was like ‘what about Diva Chasers?’ We are girls so it works out! That’s when Divas was born and we had something going. How long have you all be chasing together? Chandler: Less than a year. In June it will be a year for me and Jen but we haven’t had the chance to chase with Stephanie because we didn’t start our group in summer so we haven’t had a spring chase yet. Every time I go to chase, even without the girls, I always represent Divas. Stephanie: Only for about a year, I haven’t been on a chase with them yet. This will be our first season together. Do you each have individual roles within the group? Chandler: I am the CoFounder & I kinda play the role of a CEO you could say because I handle our funds because its just easier for one person to do that. During chasing I am also the driver, because I love to drive. 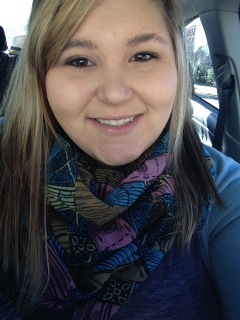 Stephanie: Chandler is the driver, Jen is the navigator, and I do all the photography and the video shooting and editing. We all work together as a team. How did you each start out chasing? Chandler: I started out in my teens chasing in Arkansas because that’s where I grew up. My first chase I was about 15 years old, maybe 14. After that I loved it so when I got older and moved to Oklahoma I started doing it more and more. While living in Texas I tried going out when storms were around but I hated going alone. Stephanie: I’ve always been fascinated with weather. My dad chased storms so I got the bug from him. When I was younger my cousin and me would always jump on our bikes and try to chase storms. I love to go out when ever I can. I can completely understand how it would be addicting. I have yet to actually chase but I got out spotting last year and can’t wait for this long winter to end so I can get out again! Tell me what you love most about chasing. Chandler: I love the adrenaline rush. I love seeing all the cool clouds. I love seeing a tornado touch down. I love the bonding time and getting to meet other storm chasers. Theres a lot I love about chasing. I also love all the travelling. Stephanie: I love being out on the open country watching a beautiful storm in the middle go nowhere. There is just something so magical about mother nature. I feel at peace out there. 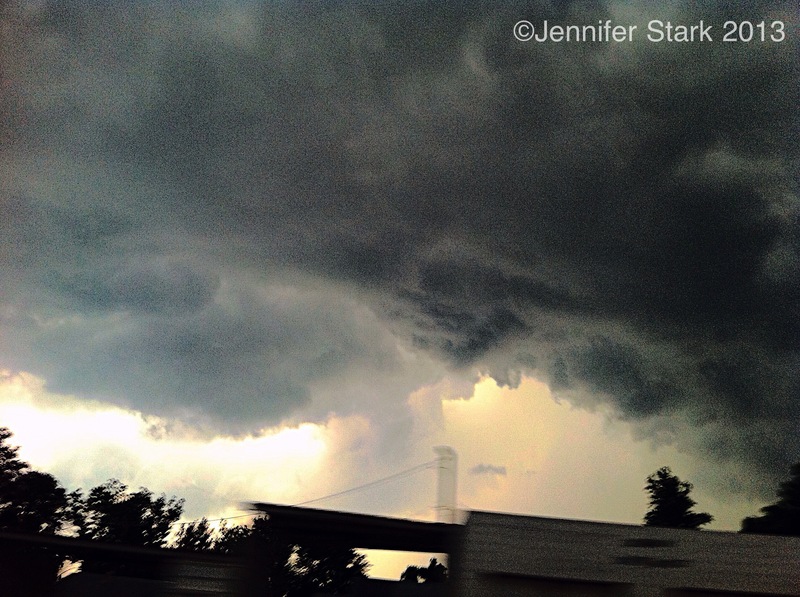 Jennifer: Being able to be out in the middle of nowhere, looking into a sky stacked with a massive churning wall cloud, or huge supercell… there really aren’t words to describe how beautiful and mesmerizing it all is. It makes me feel alive, and having the opportunity to share that experience with two of my closest friends just makes it that much better. I love watching storms as well, they are so amazing! Jennifer, would you say that chasing is a pretty male-dominated field? Jennifer: I think that chasing IS a male-dominated field, but the male chasers I know are not at all exclusive, and welcome any chaser, male or female. I’ve met quite a few men who chase and they’ve all been so nice. It seems like the storm chase community is pretty friendly, not only to veteran chasers but also to people like me who aspire to chase someday. Chandler, are there disadvantages to being a female chaser? thing I am very picky about is the bathrooms. But that’s all for me. 🙂 I could see me having similar issues! Jennifer, what is the Divas goal when you go out chasing? 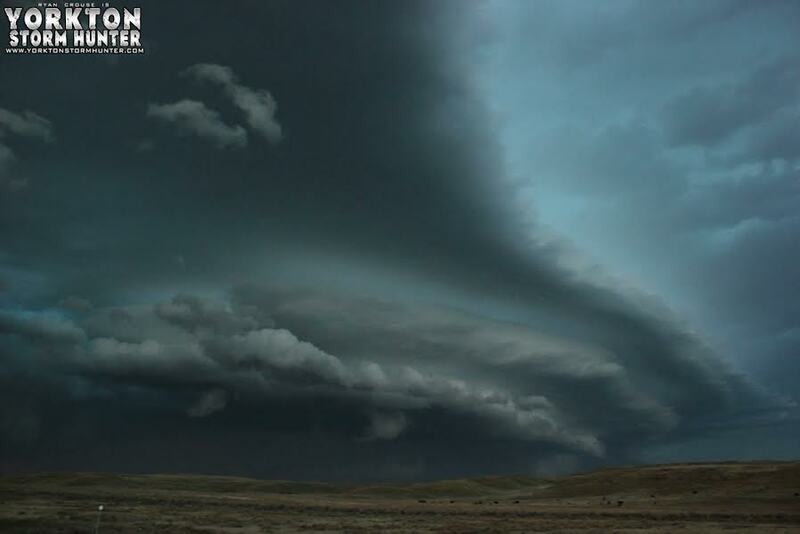 My goal when chasing is to see amazing structure, hopefully see a tornado (one that poses no danger to anyone!) and get awesome structure shots. Also, if we encounter any fresh damage, to stop and help as much as possible. We will chase every setup. We will stick to more Oklahoma and Kansas this year and possible go further up north. We want to see everything! Nice! I’d imagine, in that area, that you will be out often this year. You guys have some crazy storm action down there in the summer! Here’s my standard question for all storm chasers. What advice would you give aspiring chasers? Stephanie: Take spotter classes and learn has much had possible. Maybe even go on a chase tour. Jennifer: I say never give up. Take Skywarn classes, learn as much as you can about storms, and the structure and life cycle stages of storms, not only from what you see on a radar, but what you see visually as well. Also, meet other chasers. Twitter is a great place for that! I agree with Jennifer about Twitter. When I first started getting interested in storms (instead of being terrified of them), Twitter was awesome to connect with storm chasers. You can see what they do, ask questions and get into the community a bit. They won’t always answer questions, especially the very busy ones, but usually there is someone there who can help you. The chaser community have been so welcoming to me. I am always full of questions! 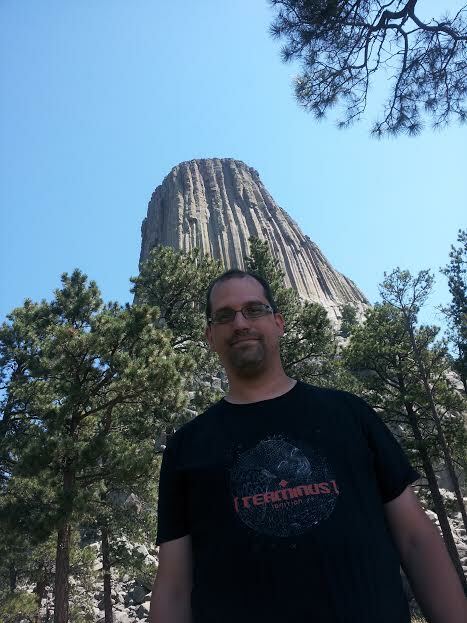 I went to a storm tweetup at one point and Greg Johnson (aka. Tornado Hunter) was giving a talk. Near the end, the questions slowed down a bit and the room got quiet. Greg looked at me and said “Sarah, I find it hard to believe that you don’t have any questions”. Of course I did. They’ve all been so helpful to me as I start out on this journey and I encourage anyone who is interested in storms/storm chasing to get on Twitter and chat with them. Okay, back on track here. How was 2013 for you all? Chandler: It was very good for me. I chased the Moore tornado, Shawnee tornado, and some other big ones in the fall. I did not chase El Reno which I am glad I did not. Stephanie: It was pretty good. It was an insane and devastating year. Jennifer: 2013 was epic!! I saw the hugest wall cloud I have ever seen in Wichita, saw a rain wrapped tornado near Shawnee, and chased an epic duststorm/gustnado that had some of the most beautiful structure I have ever witnessed. Here’s a video of their dust storm chase! I remember watching this on the live stream and thinking it was one of the craziest things I’ve ever seen! Are there storm chasers who inspire you and that you look up to? Chandler: The Twister Sisters. Peggy has chatted with us and I never thought I would ever get the chance to talk with her or better yet become friends with her. 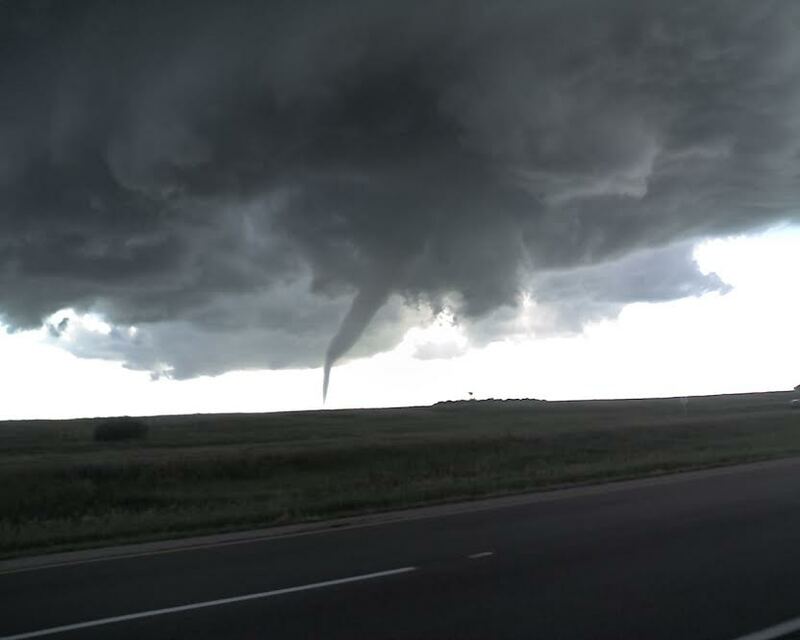 Stephanie: Reed Timmer. I have followed him for years. He is so passionate and a great guy. Tim Samaras was a genius, he was one of the smartest and safest chasers. Terry Rosema, he is a great photographer..
Jennifer: I look up to Reed Timmer a lot, because he started out as just a guy who loved storms and filmed them. Now, he gets to spend his life doing what he loves. That is an inspiration to anyone. What are you looking forward to for the 2014 season? Chandler: I am looking forward to the team bonding. The tornadoes. And most of all having Divas first storm chase. 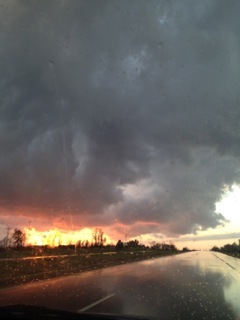 Stephanie: Amazing storms in the middle of nowhere. 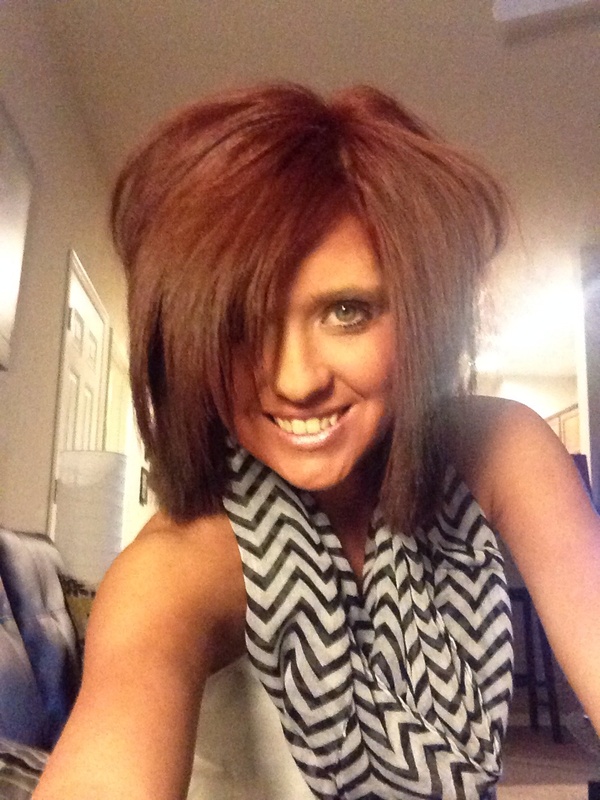 Jennifer: I am SO ready for the 2014 chase season!!!! I am looking forward to chasing with my team as much as possible. Some exciting news came as I was working on this chaser chat, the Divas will now be live streaming with TVN! Jennifer: We are honoured and so excited! 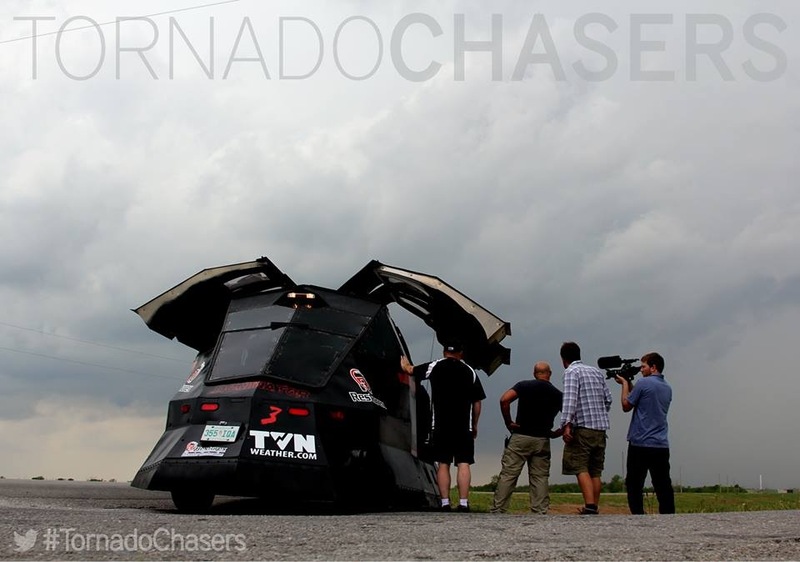 Check out my other Chaser Chats HERE and stay tuned as I have a few more great chats on the way! Welcome back to part two of my chaser chat with Sean Schofer of TVN. If you missed part one, you can check it out here! Let’s get right into it! We had a bit of a boring season here but it was pretty active in the US. 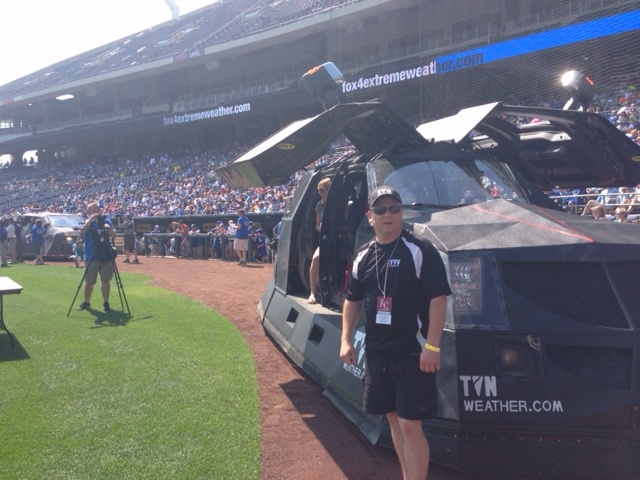 Overall, how did the 2013 season go for the TVN crew? In May of 2013, the widest tornado in history hit near El Reno, OK. It was a monster of a tornado and acted in ways that surprised even the most experienced chasers. Was El Reno the most intense chase you’ve been on, or does another one take first place for you? I remember watching and seeing so many of my chaser friends caught off guard by the El Reno tornado. I wasn’t there chasing but even I had my heart in my throat often during that chase. I was very worried for everyone down there in that dangerous situation and that worry was well-founded when I heard the next day that Tim Samaras, Paul Samaras and Carl Young had been killed. That was such a tragic day. Can you tell me about the first tornado you intercepted in the D3! I can’t imagine how that must have felt! I love that you guys stop and help out where you can! I appreciate that the chase comes second when lives are at stake. What do you like most about the team you chase with? I can’t wait to see you back out there chasing! Winter seems crazy long when you’re waiting for storm season! Tell me what it’s like chasing with Reed. Is he always intense on a chase or are there moments of fun? I would love to go on a tour with Extreme Tornado Tours! I’ve met a few of those guys and have watched them chase and would totally go on a tour if I could! Here’s a few non-storm chasing questions to wrap it up. What do you do when you’re not chasing storms? Thanks so much for having this conversation with me, Sean! I love watching you guys out there in the field and can’t wait to see what you guys have in store for 2014! Hopefully 2014 is amazing for the TVN team! 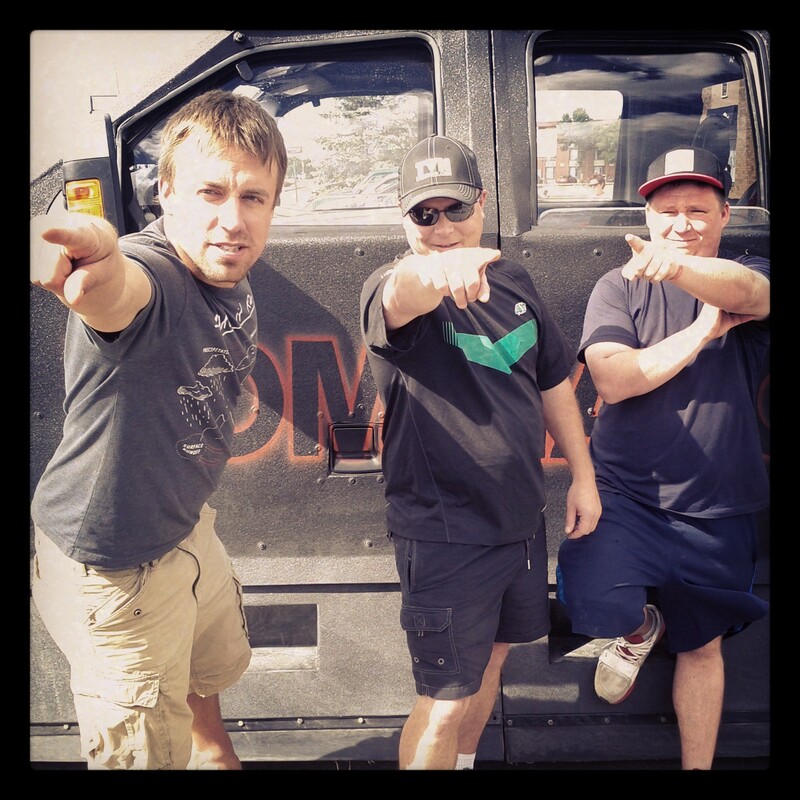 You can find Sean on Facebook, Twitter and on Instagram (@seanschofertvn). Also, find Restorex on their website or on Twitter. Thanks for joining me and Sean for this chat! I’ve had so much fun chatting with these great chasers. I have a few more in the works and I hope that you’ll join me in learning more about storm chasing and the people who do it! You can check out my other Chaser Chats HERE! I am thrilled to be able to bring to you the first chaser chat with a TVN team member! I, like many, am a huge fan of TVN. 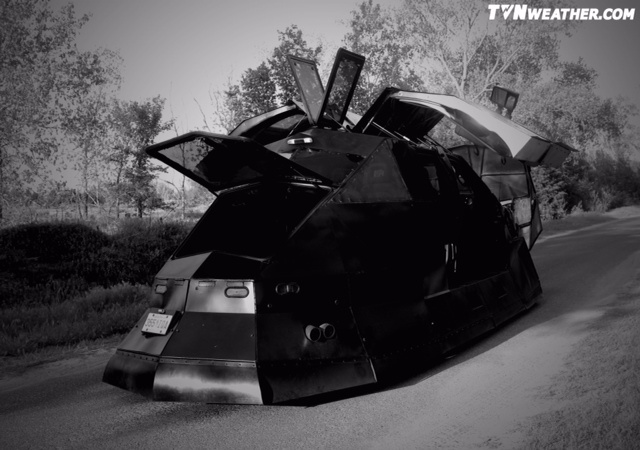 Even before my world changed and I went from fearing storms to loving them, I enjoyed watching ‘Storm Chasers’ on Discovery channel and thought that the TVN team was awesome! Well, since that time, the TVN team is even better! Let me introduce you to one of TVN’s amazing drivers. 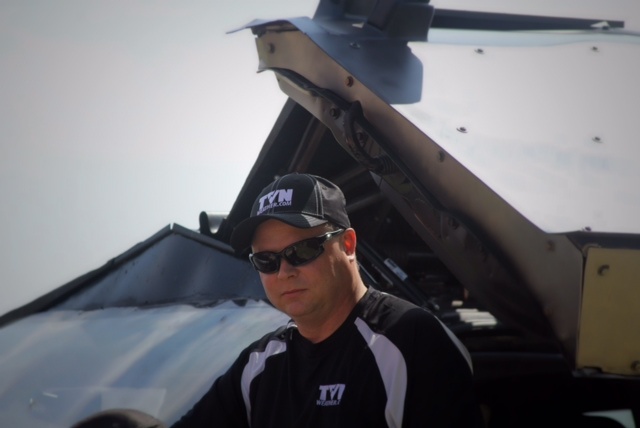 Sean Schofer is pretty new to the TVN crew and has the awesome job of piloting the newest Dominator, the D3. I’m beyond thrilled that he agreed to be part of my Chaser Chat series! 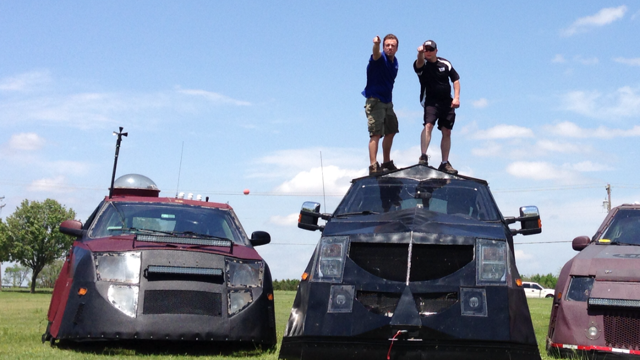 Last year, Sean began chasing with TVN after being asked by Reed Timmer. I think Sean is a fantastic match for TVN and they really seem to mesh well together. Thanks, Sean, for letting me ask you some questions! I love that you are a from Saskatchewan and chase with one of the best known chase teams in the US! Tell me how you wound up driving for Reed. That’s awesome! It’s great when you can connect a passion with a great team that has the same goal! Can you tell me about the very first tornado you saw? I’m sure I would ask the same thing. I’ve always thought that night tornadoes would be more scary because it isn’t as easy to see what they are doing. Tell me a bit about the D3. What is the coolest thing about driving it? Yep, I’m the same way. I loved getting to see it last summer and getting a picture of you guys with it! What do you find most challenging about driving the D3? The D3 is intense but you face some tornadoes that are nothing to mess with for sure. Besides driving the D3, what other responsibilities are yours? Sean, who makes the decisions on what direction you head? Reed seems to do most of the directing but I’m sure that you all play a part. Reed really is something else. A ‘human barometer’. (And there’s the nerdy ‘Twister’ reference.) 🙂 You’ve been on a ton of chases and I have to ask, what was your favourite to date? I just watched that episode this week and remember that day from the live stream. That would have been an intense and unforgettable day for sure! 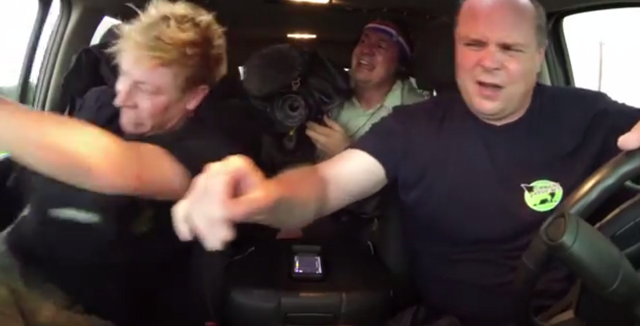 Here’s a preview for the Tornado Chasers Bennington episode. If you haven’t been watching this series, you’re missing out! 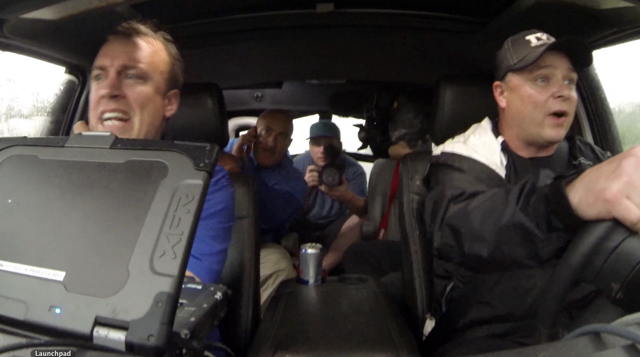 After Storm Chasers was cancelled, the team decided to take their show online! You can get the episodes here (from both seasons). Check out Part Two as Sean talks about his first intercept and gives advice to aspiring storm chasers!! Also, check out my other chaser chats here!